Much discussion about mental health has revolved around treatment models. As interdisciplinary scholarship has shown, mental health knowledge, far from being a neutral product detached from the society that generated it, was shaped by politics, economics and culture. By drawing on case studies of yoga, religion and fitness, this article will examine the ways in which mental health practices—sometimes scientific, sometimes spiritual—have been conceived, debated and applied by researchers and the public. More specifically, it will interrogate the relationship between yoga, psychedelics, South Asian and Eastern religion (as understood and practiced in the USA) and mental health. 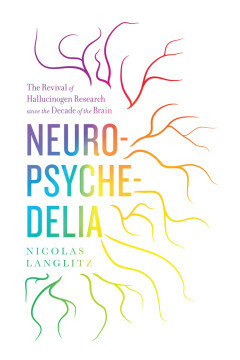 the revival of psychedelic science since the “Decade of the Brain.” After the breakdown of this previously prospering area of psychopharmacology, and in the wake of clashes between counterculture and establishment in the late 1960s, a new generation of hallucinogen researchers used the hype around the neurosciences in the 1990s to bring psychedelics back into the mainstream of science and society. This book is based on anthropological fieldwork and philosophical reflections on life and work in two laboratories that have played key roles in this development: a human lab in Switzerland and an animal lab in California. It sheds light on the central transnational axis of the resurgence connecting American psychedelic culture with the home country of LSD. In the borderland of science and religion, Neuropsychedelia explores the tensions between the use of hallucinogens to model psychoses and to evoke spiritual experiences in laboratory settings. Its protagonists, including the anthropologist himself, struggle to find a place for the mystical under conditions of late-modern materialism. 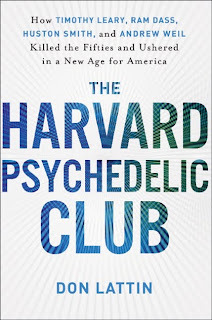 The New York Times has reviewed a just released book on psychedelic research at Harvard University in the 1960s: The Harvard Psychedelic Club: How Timothy Leary, Ram Dass, Huston Smith and Andrew Weil Killed the Fifties and Ushered In a New Age for America. Authored by freelance journalist and religion writer, Don Lattin The Harvard Psychedelic Club’s title calls to mind Louis Menand’s 2001 book The Metaphysical Club, also about psychology at Harvard, though in an earlier period. In 1963 Leary and Mr. Alpert were kicked out of Harvard for their exploits, which included giving drugs to undergraduates. One of the men behind their expulsion was none other than Andrew Weil, still an undergraduate. Jealous at not being fully admitted into their world or, Mr. Lattin suggests, being given the best drugs, Mr. Weil helped engineer an exposé of Leary and Mr. Alpert in The Harvard Crimson. He took the pair down, Mr. Lattin writes, “with the zeal of a jilted lover.” The older men never fully forgave him. Although the NYT review of The Harvard Psychedelic Club is largely favourable, the reviewer takes issue with some of Lattin’s stylistic decisions, including his decision to invent some of the dialogue that appears in the book. Despite the problematically concocted dialogue, the reviewer found the story engrossing. is the story of how three brilliant scholars and one ambitious freshman crossed paths in the early sixties at a Harvard-sponsored psychedelic-drug research project, transforming their lives and American culture and launching the mind/body/spirit movement that inspired the explosion of yoga classes, organic produce, and alternative medicine. The four men came together in a time of upheaval and experimentation, and their exploration of an expanded consciousness set the stage for the social, spiritual, sexual, and psychological revolution of the 1960s. Timothy Leary would be the rebellious trickster, the premier proponent of the therapeutic and spiritual benefits of LSD, advising a generation to “turn on, tune in, and drop out.” Richard Alpert would be the seeker, traveling to India and returning to America as Ram Dass, reborn as a spiritual leader with his “Be Here Now” mantra, inspiring a restless army of spiritual pilgrims. Huston Smith would be the teacher, practicing every world religion, introducing the Dalai Lama to the West, and educating generations of Americans to adopt a more tolerant, inclusive attitude toward other cultures’ beliefs. And young Andrew Weil would be the healer, becoming the undisputed leader of alternative medicine, devoting his life to the holistic reformation of the American health care system. It was meant to be a time of joy, of peace, and of love, but behind the scenes lurked backstabbing, jealousy, and outright betrayal. In spite of their personal conflicts, the members of the Harvard Psychedelic Club would forever change the way Americans view religion and practice medicine, and the very way we look at body and soul.